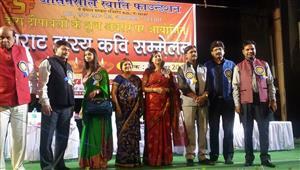 A Kavi Sammelan was organised at Rishabh Vihar Jain Mandir on 29.11.2017 inviting the sensational Geetkar of the era Dr Kumar Vishwas, Kavi Tej Narayan Bechain, Kavi Sudeep Bhola, Kavi Gajendra Priyanshu, Kavi Shambhu Shikhar along with two melodious poetess Padmini Sharma and Mamta Sharma. A huge audience was waiting for the performance. Kavi Tej Narayan Bechain is a brilliant satirist. His smooth satires make the audience to think over the issue. Kavi Tej Narayan Bechain covers a broad aspect of satire including political, social and contemporary issues. 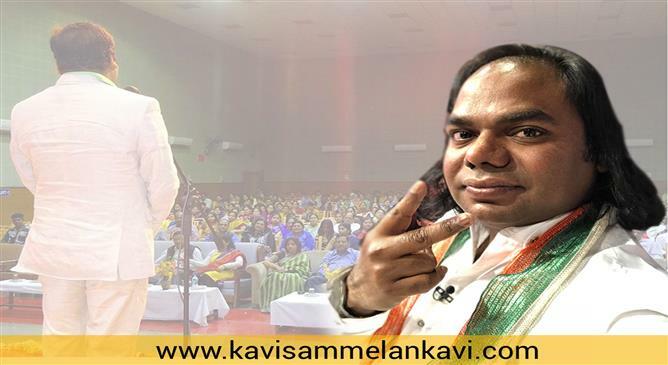 Kavi Gajendra Priyanshu juggles with humour, satire and Geet. Having an amazing sense of humour Kavi Gajendra Priyanshu mesmerizes the audience with his amazing style of presentation. 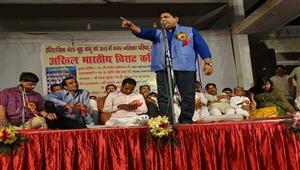 Kavi Sudeep Bhola is a satirist as well as a poet of nationalism and patriotism. He strikes smoothly on the audience's mind and make them analyse the issue. 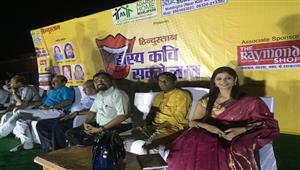 The most popular Hasya Kavi of India Shambhu Shikhar famed for his Bihari style has a collection of extremely funny and hilarious Kavita touching every current issue. 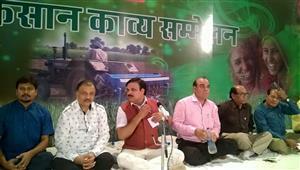 "Notebandi, Sharab Bandi, GST" and other political topics are been covered by Hasya Kavi Shambhu Shikhar. In fact, he includes all the contemporary topics that make the audience crazy about his performance. The beats of young hearts, the radiant and enchanting voice of Kavi Sammelan, the signature enough in itself, Dr Kumar Vishwas appear to be even more captivating that evening. 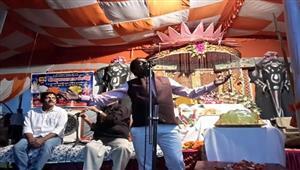 His magnificent Geets and muktaks compelled every single poetry-lover to sing along him. People enjoyed to a delightful extent. The sweet-toned Padmini Sharma and lyrical Mamta Sharma were just outstanding throughout the evening. Padmini Sharma's "Saans Aati Rahi" is an evergreen hit. 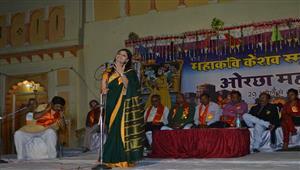 Poetess Mamta Sharma had a tuneful collection of Geet and ghazals. She appeared to be so melodic and soothing. Apart from these, she recited few parodies too.